The fungus Discula destructiva causes dogwood anthracnose leaf blight and canker. Dogwood anthracnose infects flowering (Cornus florida) and Pacific dogwoods (C. nuttallii). 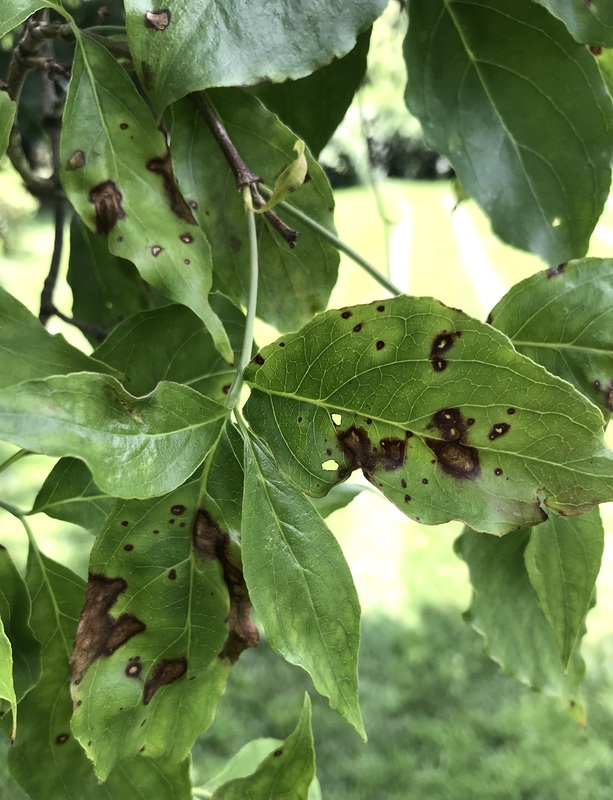 Kousa dogwood (C. kousa) is also susceptible to infection but is highly resistant to the disease and typically suffers only minor leaf spotting. Other common landscape dogwoods, such as Tatarian dogwood (C. alba) and redosier dogwood (C. sericea) are also resistant to the disease. Discula destructiva was introduced into eastern North America from Asia in the late 1970s and quickly spread throughout the region, decimating natural populations of flowering dogwood in southern New England. 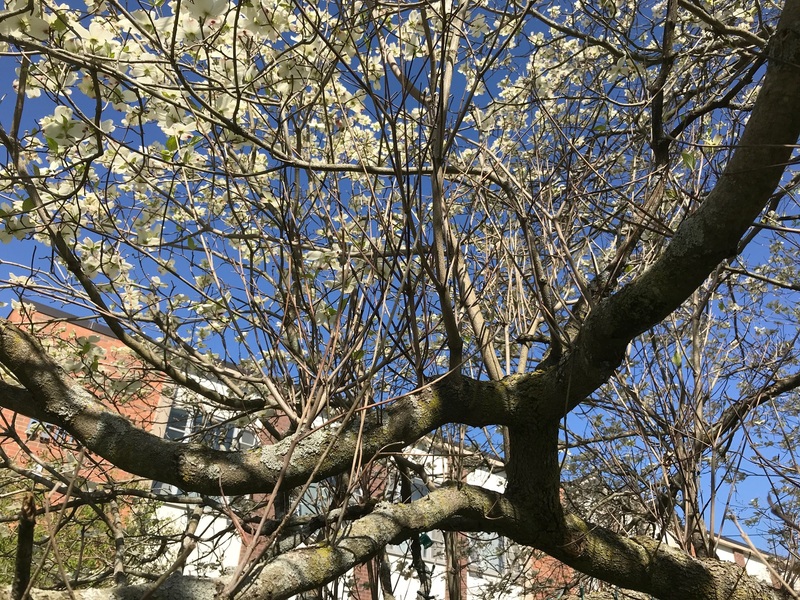 Because D. destructiva is non-native in North America, flowering dogwood has no natural defense against the pathogen, allowing the fungus to spread unchecked within the tree. Under ideal environmental conditions, dogwood anthracnose can be the sole cause of death. 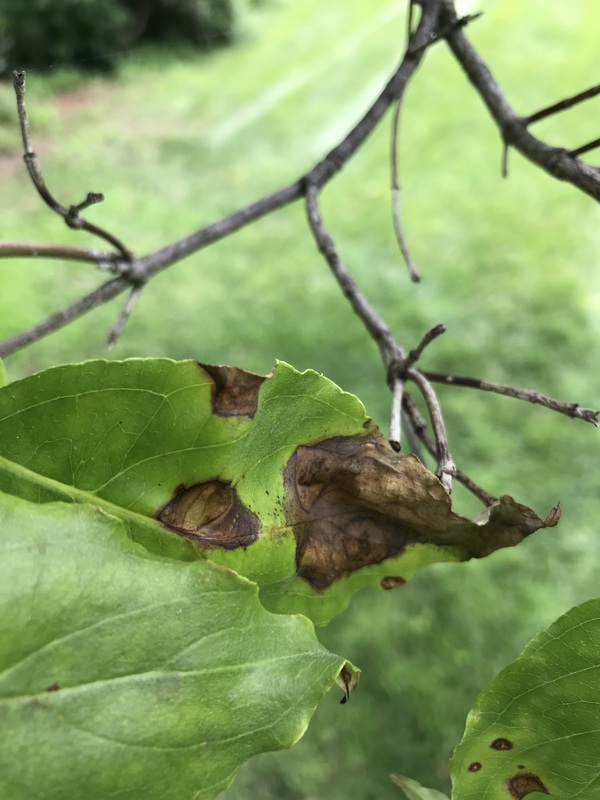 Foliar symptoms of infection range from angular-shaped leaf spots and blotches, marginal leaf scorch and a complete blight of infected foliage. Leaf spots are round to blotchy and have tan centers with reddish-purple margins. Additionally, succulent shoots and small stems can be killed and perennial cankers can develop on larger branches. Stem and branch cankers disrupt water and mineral transport, leading to a progressively worsening canopy dieback. Vascular cambium infected with dogwood anthracnose is chocolate brown in contrast to the pale tan color of healthy sapwood. Another common symptom of infection on flowering dogwood is the prolific formation of epicormic sprouts adjacent to large branch cankers. This creates an abundance of small-diameters stems within shaded, interior portions of the canopy that are readily attacked by the fungus, increasing overall inoculum. The fungus requires abundant moisture, humidity and shade to cause disease. Thus, lower canopy branches are most susceptible to infection. Once established, the pathogen spreads upward within the canopy. Discula overwinters within diseased foliage and stem cankers, initiating new infections in the spring. Early in the growing season, fruiting structures erupt through the bark of infected twigs and on the underside of spotted leaves. During wet weather, copious numbers of spores are extruded and spread via splashing water and wind to nearby shoots, leaves and flowers. There are a number of resistant species and varieties of dogwood available that greatly reduce the need for disease management. Principally, Kousa dogwoodis naturally resistant and provides many of the same landscape features that have made flowering dogwood so popular. Numerous C. kousa × C. florida hybrids and disease-resistant C. florida cultivars are also available. Dogwood anthracnose severity is inversely related to available sunlight. Therefore, trees should be planted only in full sun with no surrounding plantings. Prune and discard blighted shoots and stems as they develop and remove any epicormic sprouts that form as a result of the disease. 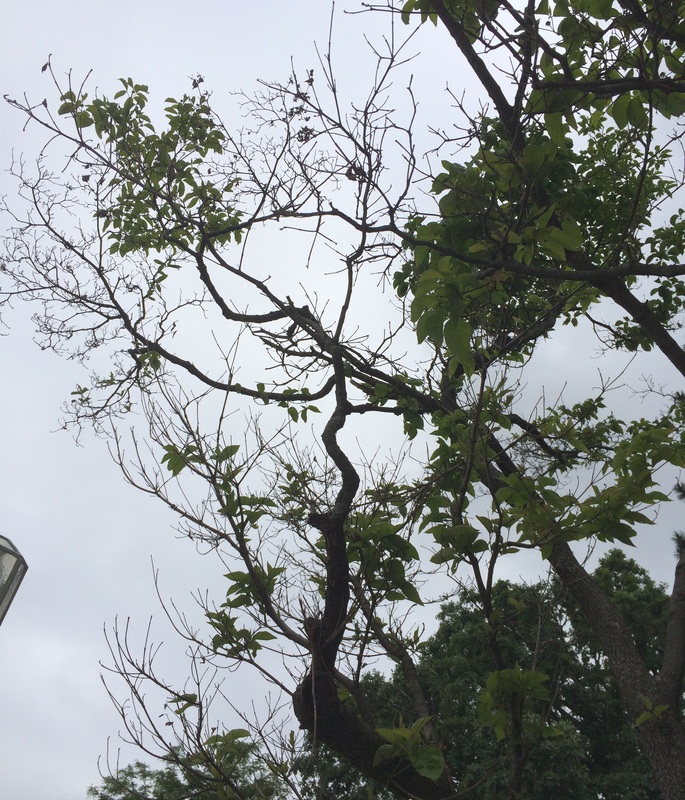 Large, perennial cankers on scaffold branches are more difficult to manage, since removal may serious degrade the aesthetic value and overall health of the tree. Collect and discard all infected leaves that are shed throughout the growing season. Limit additional stresses, such as string trimmer and mower damage, that may attract secondary pests (e.g. dogwood borer) and pathogens (e.g. stem cankering pathogens like Phomopsis and Cytospora). During extended dry periods, provide trees with a soaking irrigation of the root zone and maintain a 2-3 inch layer of composted mulch over the root zone. During periods of wet spring weather, fungicide use may be warranted to protect green shoots and leaves on high-value flowering dogwoods. Begin fungicide applications when buds open and continue with additional treatments per label directions to maintain protection.